Our Pee-wee Kickboxing class teaches the same skills as our Junior Kickboxing class but with an approach tailored to younger children. 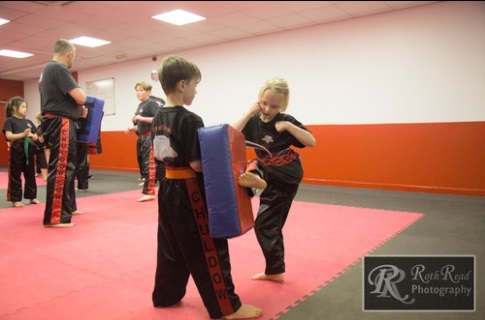 The children will learn the techniques of kickboxing using the wide range of equipment provided at Chuldow Morley – kick pads, target pads, focus mitts skipping ropes and punch bags. They will have lots of fun in a safe and friendly environment making new friends and all the time improving their fitness, coordination, discipline and concentration. The children earn new belts just like the older children but with smaller jumps so they can progress and feel rewarded just like the older children. To take the first step just book a free trial and you can see just how great the classes are.